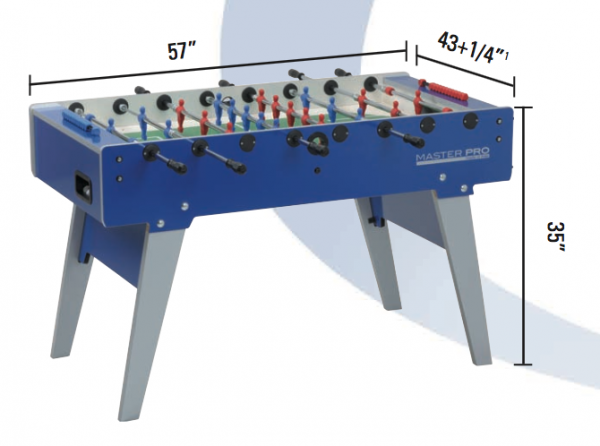 The Garlando Master Pro Indoor Foosball Table is designed for aggressive play and easy storage. 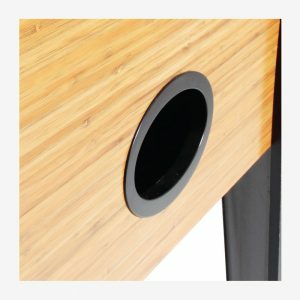 The cabinet is made of 3/4-inch melamine coated MDF to reduce scratching and marring. 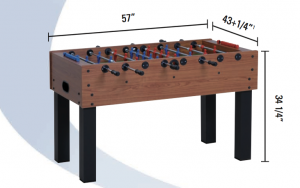 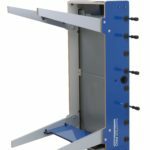 The 1-1/8″ legs are melamine coated MDF and fold under the cabinet to reduce storage when not in use. 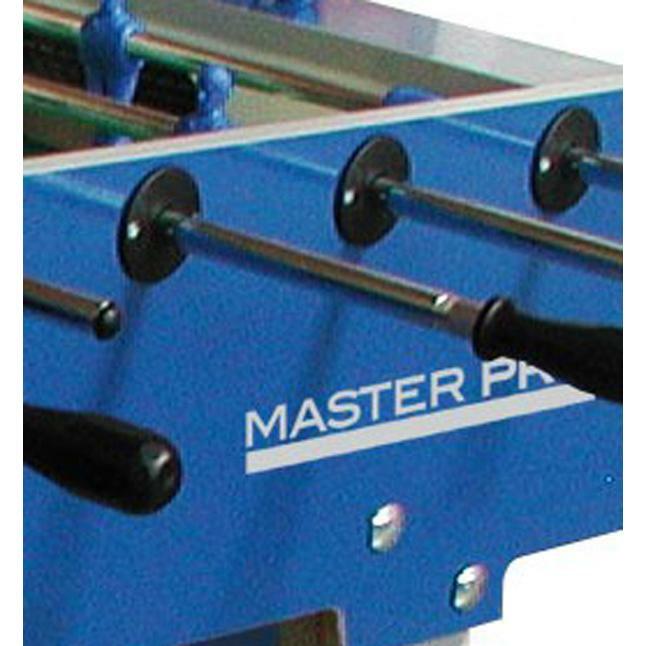 2/3-inch diameter telescopic high resistance steel bars have an anti-rust chromium plating. 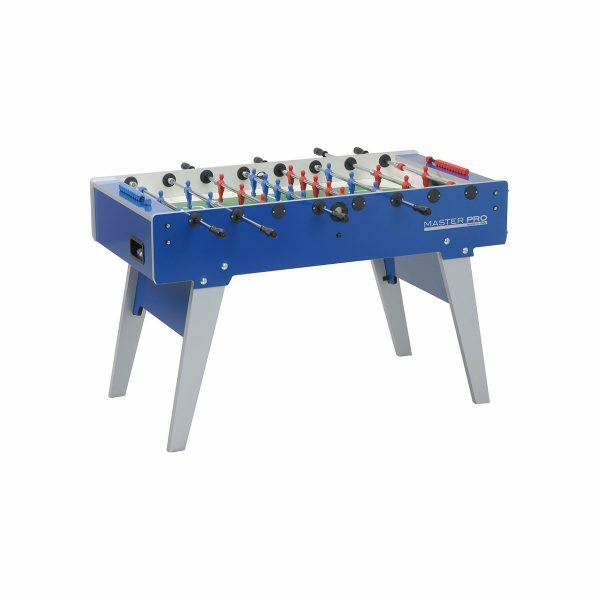 Steel roller ball bearings greatly improve game speed and reduce the stress on the players’ wrist. 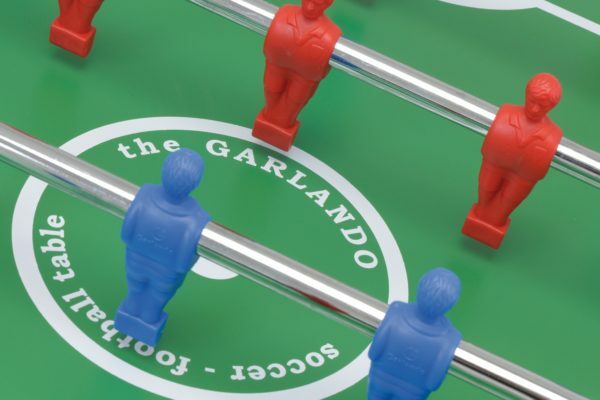 The play field is tempered glass with green background and white lines to look like a futbol pitch. 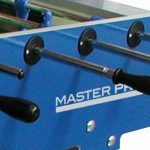 Quick and easy ball recovery through an exit behind each goal. 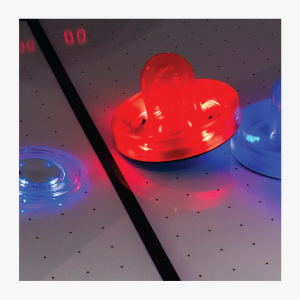 Cube score counters in colors matching the players colors. 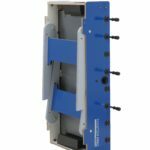 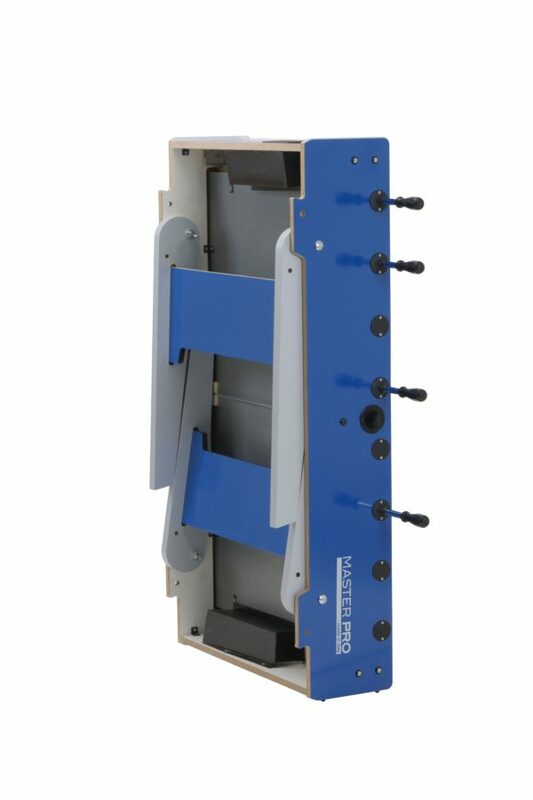 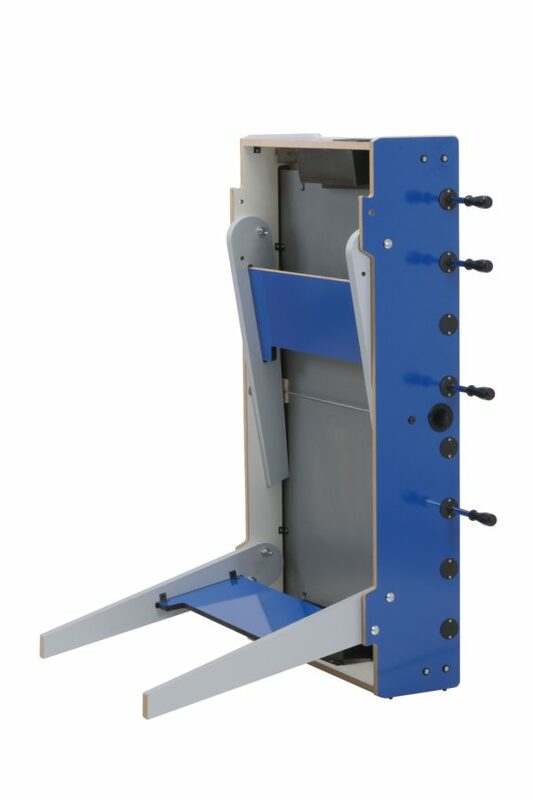 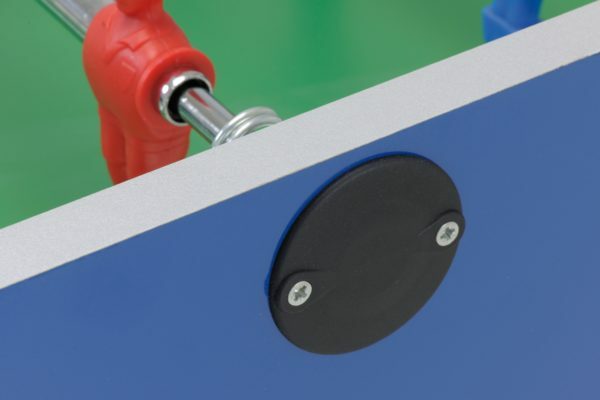 One-color, molded plastic players in a stylized human figure are molded directly to the bars so they do not move and maintain their positions perfectly. 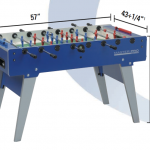 Includes 10 standard white balls. 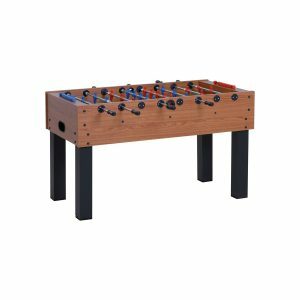 Dimensions: Cabinet 57″Lx29″Wx35″H; play field 47-1/4″ x 28″. 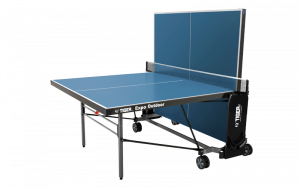 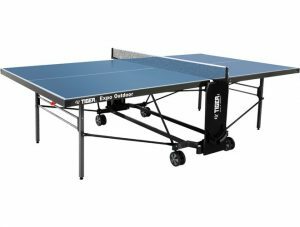 Easily Accomodates PureX Table Tennis Top! 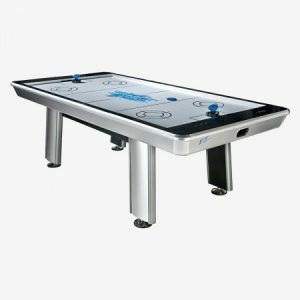 Over the past 50 years, Valley-Dynamo has earned its reputation as the producer of the world’s highest quality game tables. 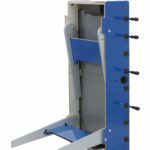 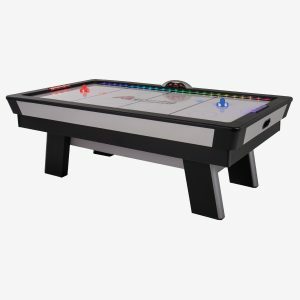 Exacting standards and a steadfast commitment to customer support have made Valley-Dynamo the top choice for both home and commercial table games. 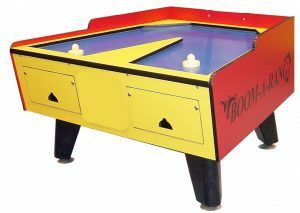 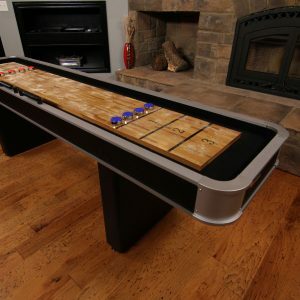 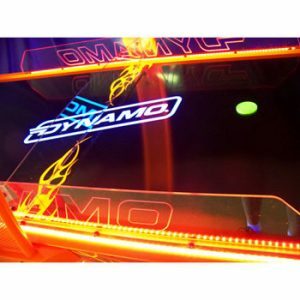 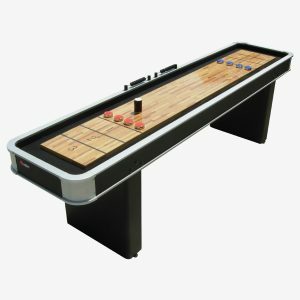 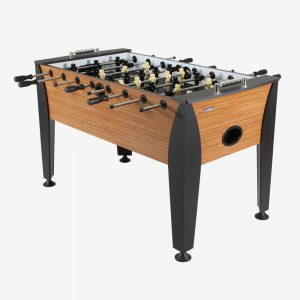 A trusted name across the globe, Valley-Dynamo foosball tables, air hockey tables, and pool tables are chosen more than any other table the world over. 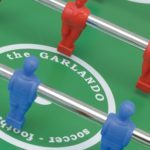 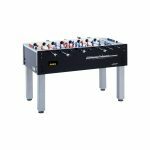 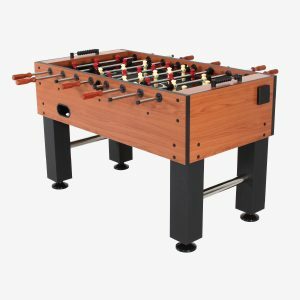 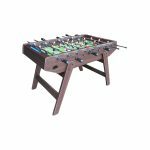 The Garlando F-100 Foosball Table has a sturdy 1-inch thick MDF cabinet with cherrywood melamine coating to protect against scratching and marring. 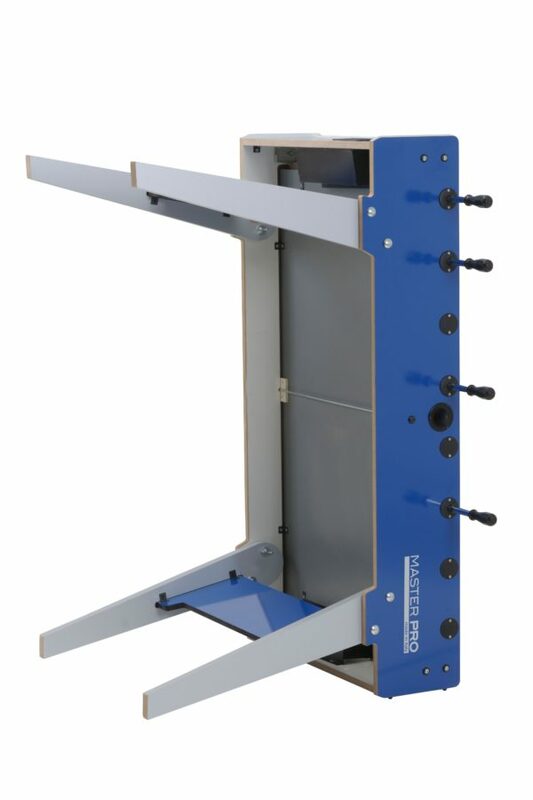 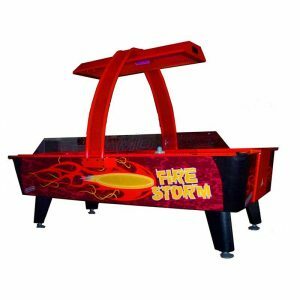 4-inch square MDF legs with black melamine coating provides stability during aggressive play. 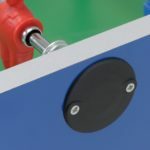 The 2’3-inch diameter telescopic rods are made of high resistance steel with anti-rust chromium plating. 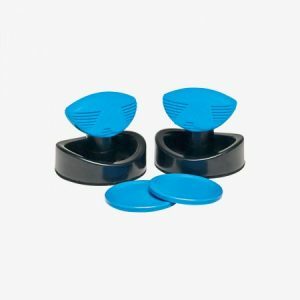 Nylon bushings reduce wear and tear. 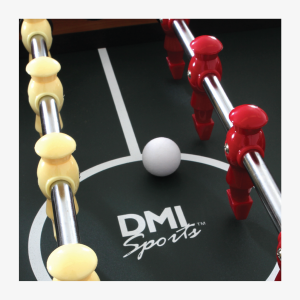 MDF playing field with a melamine coating has a “grass” effect gives the impression of playing on a futbol pitch. 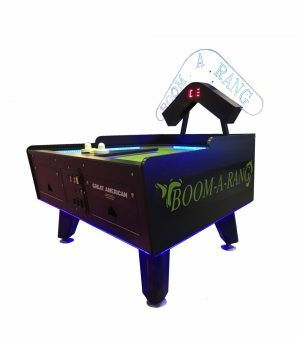 Quick and easy ball recovery through an exit behind each goal.